I can't believe how fast 2018 has gone. We were on the road a lot this year. Next year is shaping up to be as busy travel-wise. So far we have 5 trips planned. Will keep you posted as the year goes along. We are almost done with our Christmas shopping. I have an added incentive for completing it as soon as possible. For years I have wanted to do Bonnie Hunter's Holiday Mystery. I never felt I could take the time. This year I decided the time is right. This year's quilt will only be 72" square - a very doable size. 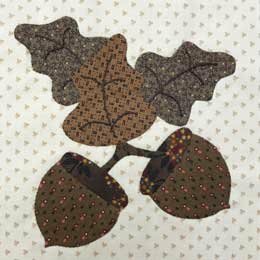 Of course, it wouldn't be Bonnie's quilt if there aren't a lot of half square triangles and flying geese. I'm so excited to see how she has put them together this year. We are looking forward to joining our son and his family in Maple Grove, Minnesota for Thanksgiving this year. As long as my Dad was alive, I had Thanksgiving for him at our house. The last two years we have joined my son, his family and his wife's family in Maple Grove. We were such a small group for so many years - just 6 or so. This Thanksgiving there will be over 30. My daughter-in-law has that under control. She and her mother have been having Thanksgiving for a large group for years and years. I don't think they even notice 2 more. It is a fun time. Our daughter-in-law's family is so welcoming. They really do believe that the more the merrier. Oops!!! I made a mistake. I left out one line of instructions in Marlene's Mosaic. 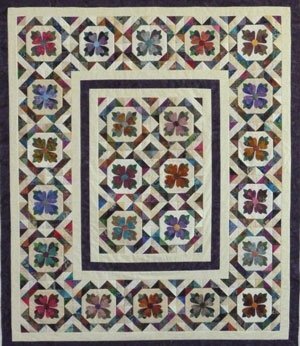 There are a bunch of ½ square triangles in this quilt. I made them oversized with the intention of trimming them to size after they were made. I forgot to mention this. 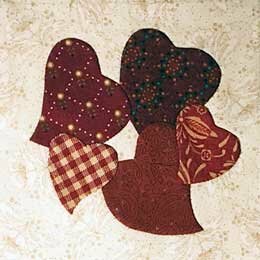 They need to be trimmed to 2" squares before assembling in the quilt. 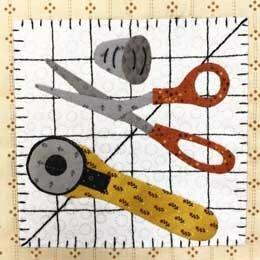 Their finished size will be 1 ½" square. I have corrected that page of the pattern. 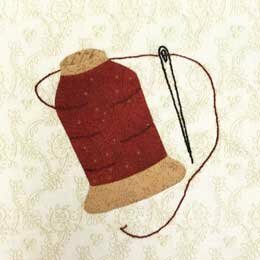 You can download it and insert it in your pattern if you have purchased it. The correction is in red ink. I'm sorry for any inconvenience this has caused you. Download page 2 correction for Marlene's Mosaic. 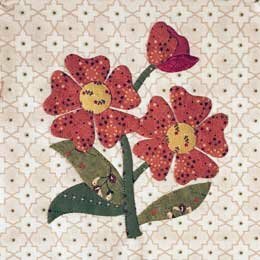 We have now covered the basics of QuikPrep Applique. It is time to look at all the extras that come with this technique. Let the fun begin. 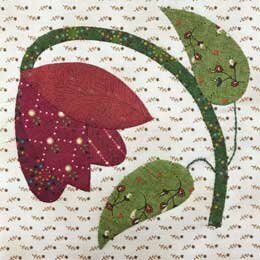 This week's lesson will show you how to add embroidery to your appliqué designs. It is soooooo easy.